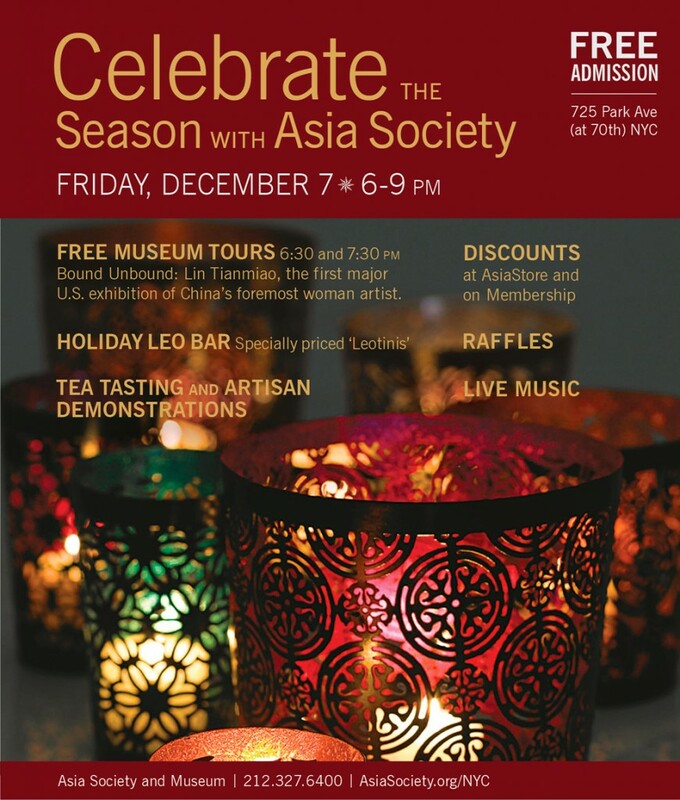 Celebrate the season with Asia Society. Experience a night of fun and culture with friends and colleagues. Free museum tours at 6:30 and 7:30 of Bound Unbound: Lin Tianmiao, the first major US exhibition of China’s foremost woman artist. For more info, please visit www.asiasociety.org. No user commented in " Asia Society Holiday Celebration "